Mahindra has quietly discontinued the automatic variants of the Scorpio in India, and has therefore removed all their specifications from the website. Mahindra's official Twitter handle for the Scorpio had also responded to a tweet confirming that the automatic variants were discontinued. 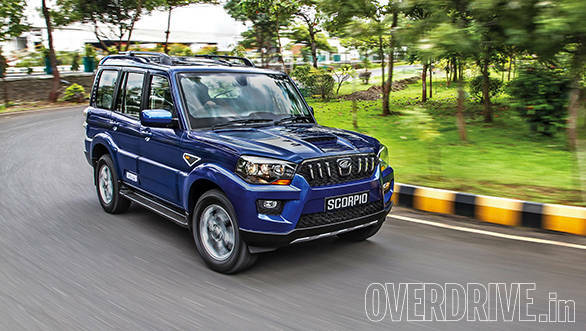 We are still waiting for a response from Mahindra as to why they were discontinued, but our guess is that Mahindra is working on a mid-cycle facelift for the Scorpio, and might launch it with an updated automatic gearbox as an option then. The Mahindra Scorpio automatic featured a 6-speed torque converter sourced from DSI. The Mahindra XUV500 automatic, which featured a more powerful and transversally mounted version of the 2.2-litre mHawk engine, got a newer 6-speed Aisin unit. When Mahindra launches the facelifted version of the Scorpio, the automatic variant could use a 6-speed unit from Aisin. Word has it that the updated Mahindra Scorpio might also get a bump in power to produce 140PS, from the current 120PS, with torque output going up too. Until that happens, Mahindra will continue to sell the Scorpio with the three diesel engines currently available coupled with a 5-speed manual. These engines include a 75PS/200Nm 2.5-litre unit, a 120PS/280Nm 2.2-litre engine and a 120PS/280Nm 2.0-litre engine for the Delhi-NCR.